The history of the black race in Mexico is both illuminating and mysterious. What makes the story of especially profound is the lack of documentation and discussion on the subject. Scholars have long been acquainted with the history of slavery in Mexico. In fact, long before the first Spanish galleons appeared on the horizon, the practice of slavery was common amongst several indigenous tribes in Mexico. So while it may be said that the Spanish did not invent slavery, they nonetheless relied upon it to expand their empire and to increase their already enormous wealth. As the colonial period in Mexico unfolded, in particular during the 16th and 17th centuries, the indigenous population became decimated by disease. To make up for this labor shortage, African slaves were brought to Mexico to toil in sugar fields and work in underground mines. Worth four times more than their indigenous Indian counterparts, these African slaves were highly prized for their reported physical endurance and stamina in the hot, tropical sun. Made to work under horrendous conditions on the sugar plantations of coastal Veracruz, attempting escape from their captors was the only viable option for these enslaved Africans. Those that were successful fled to the area�s high mountain ranges where jungle and canyons could hide and shelter them. Indigenous Indians also fled to these remote areas and joined forces with the escaped African slaves, forming communities and families. A famous rebellion in Mexico�s history was led by an African slave named Gaspar Yanga, around the year 1570. 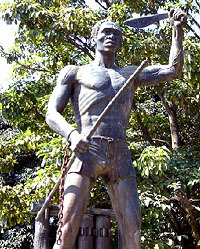 Believed to be a member of the royal house of Gabon, Africa, this hero was responsible for leading his fellow black slaves in a successful revolt. Under Yanga�s leadership, these slaves were able to escape to safety in the highlands of Veracruz. Remarkably, after 30 years of living in the mountains, Yanga was able to negotiate a treaty with the Spanish. This treaty was hard won and only obtained after great hardship. However, in the end, Yanga achieved his desired goal of his community remaining free. Today, the town of Yanga in Veracruz is living testimony to his incredible achievement. The mingling of blood that occurred between the Spanish and Indigenous Indians of Mexico also took place with African slaves. Historians differ on the actual number of slaves brought to Mexico during the colonial expansion. Some scholars believe 200,000 slaves were brought to Mexico for manual labor purposes, while others believe the true number totaled far more, upwards to 500,000. Some of the blood of these enslaved blacks co-mingled with that of the Indigenous Indians as well as the Spanish. This �third root� of the Mestizo race is a topic seldom acknowledged. Traditionally, the Mestizo race is identified as being a mixture of European and Indigenous Indian blood. In truth, it can also include the blood of Africans. Over the years, this bloodline has been absorbed into the fabric of the Mexican population. 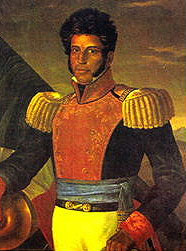 The first blacks to come to Mexico, as well as their descendants, have greatly influenced Mexican culture. Throughout the centuries, Afro-Mexicans have made enormous contributions to the country and deserve recognition for their many accomplishments. Afro-Mexicans share a rich history and count heroes and presidents amongst their ancestors. Vicente Guerrero, a mulatto and Mexico�s 2nd president, was a hero in Mexico�s War of Independence from Spain. 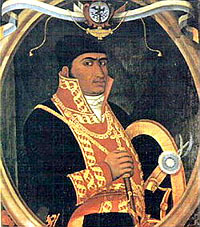 The state of Guerrero in Mexico was named in his honor. His grandson, Vicente Riva Palacio y Guerrero, was one of Mexico�s most influential politicians and novelists. In addition, one of the most prestigious generals in Mexican�s War of Independence, Jos� Mar�a Teclo Morelos y Pav�n, was a mulatto as well. Afro-Mexicans have also greatly contributed to Mexico�s rich heritage of dance, music and song. The famous carnival celebrated in Coyolillo in Veracruz has African origins. Mexico�s food, language and spiritual practices have been influenced by the descendants of black slaves. Black immigrants to the country must be recognized and included in this equation as well. Many fled to Mexico during the years of slavery in the United States, seeking asylum and refuge. Many Afro-Mexicans reside on Mexico�s Pacific Coast, in an area known as the Costa Chica region. This stretch of coastline starts just south of Acapulco and extends for approximately 200 miles. Fishing and agriculture are the mainstays of the economy in Costa Chica. Afro-Mexican communities can also be found in the states of Guerrero, Oaxaca, Michoac�n, Veracruz, Campeche, Quintana Roo, and the Yucat�n.